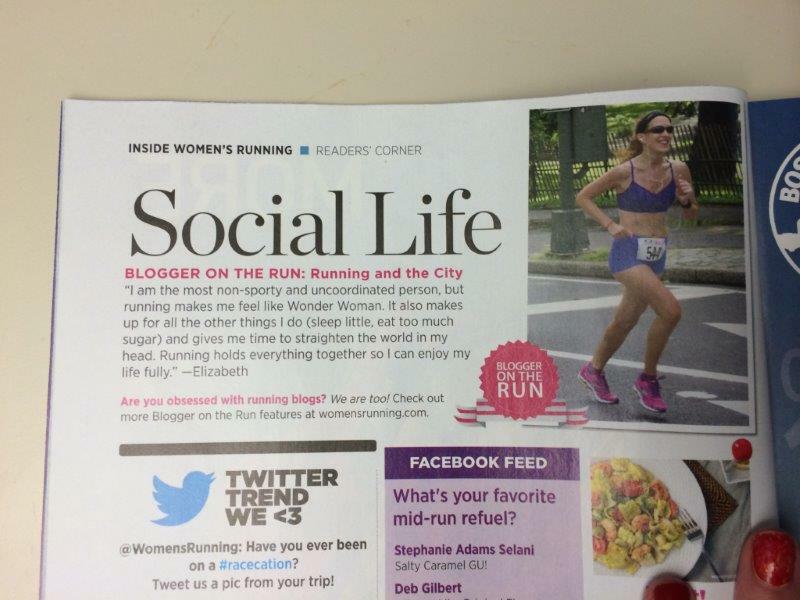 Women’s Running, Blogger on the Run, I almost missed it! As I was in the process of moving for the past 4 weeks (all done now! ), some stuff really got lost or didn’t happen. I’ve been MIA. From everything! 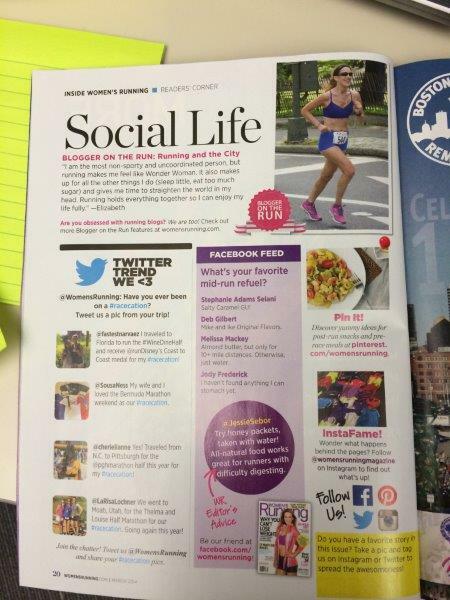 And I am just now catching up with some of my subscriptions, hence the surprise in this morning’s commute with March’s Women’s running! I had been profiled in the magazine before, great article, but it’s always weird to open a magazine and see yourself there! PS: I didn’t realize that what I wrote makes me sound like a basket case.. hey… wait..! I saw that!!! 🙂 Look at you go!!! 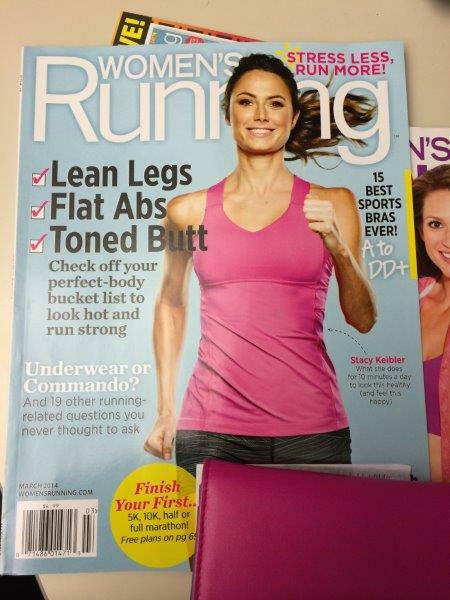 Stacey Keibler tempted me yesterday in the food store to open the mag, and I guess I should have!